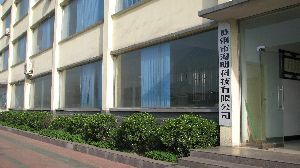 Wugang City Haiming Science & Technology co., Ltd, as a national largest production base of sodium lignosulphonate, located in NO.1 anzhai road wugang city henan province. The company mainly produces the lignin series products, the year-round producing and marketing capacity up to 100,000 tons .Our sodium lignosulphonate series products widely serve as concrete admixturers, water-coal paste additives, water reducer, refractory additives, pesticides dispersant etc. Upon the examination of National center for quality supervision and the test of cement concrete product, our products have achieved first-class standard for GB8076-1997 concrete chemical admixtures. The company bears strong technique strength, powerful ability of technical innovation and advanced test means. Wugang City Haiming Science & Technology co., Ltd was recognized as high technology enterprise in 2004, and our sodium lignosulphonate product was evaluated as high technology product of henan province, We has 4 authorized patents and passed through the quality guarantee attestation of ISO9001: 2000. We are willing to suit your choice with mutually satisfying prices, considerate service and super quality. Looking ahead to the future, our company will continue to explore and innovate, promote and develop steadily, creating brilliant achievement hand in hand with our clients. Our purpose in business is produce the best quality sodium lignosulphonate at a reasonable price and to deliver our goods to customers on time and intact.